autoplank is a small tool written in Go which adds multi-monitor support to Plank dock without having to create multiple docks. When you move your mouse cursor to the bottom of a monitor, autoplank detect your mouse movement using xdotool and it automatically moves Plank to that monitor. This tool only works if Plank is set to run at the bottom of the screen, at least for now. There's a slight delay until Plank actually shows up on the monitor where the mouse is though. The developer says this is intentional, to make sure you actually want to access Plank on that monitor. The time delay before showing plank is not currently configurable, but that may change in the future. autoplank should work with elementary OS, as well as any desktop environment or Linux distribution you use Plank dock on. Plank is a simple dock that shows icons of running applications / windows. 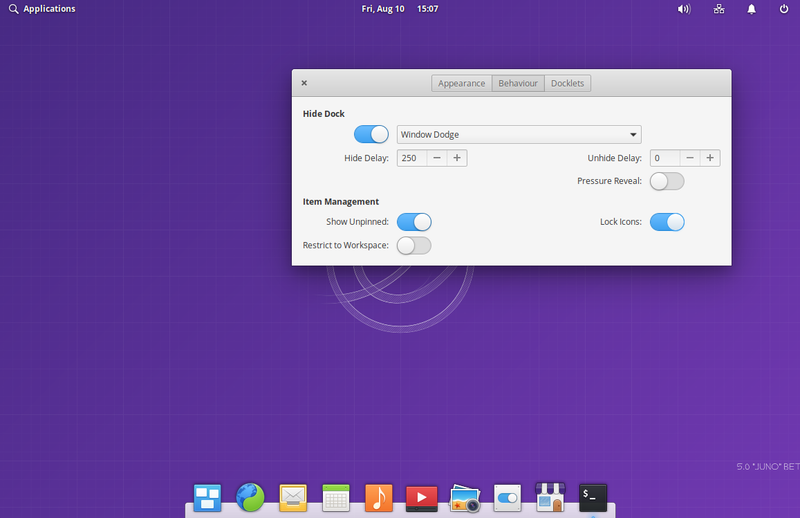 The application allows pinning applications to the dock, and comes with a few built-in simple "docklets": a clipboard manager, clock, CPU monitor, show desktop and trash. To access its settings, hold down the Ctrl key while right clicking anywhere on the Plank dock, and then clicking on Preferences. Plank is used by default in elementary OS, but it can be used on any desktop environment or Linux distribution you wish. On its GitHub page, it's mentioned that you need Go 1.8 or newer to build autoplank but I was able to successfully build it with Go 1.6 in Ubuntu 16.04 (elementary OS 0.4 Loki). The developer has said on Reddit that he will provide binaries for autoplank, but they aren't available for now. It's very easy to build it from source though. 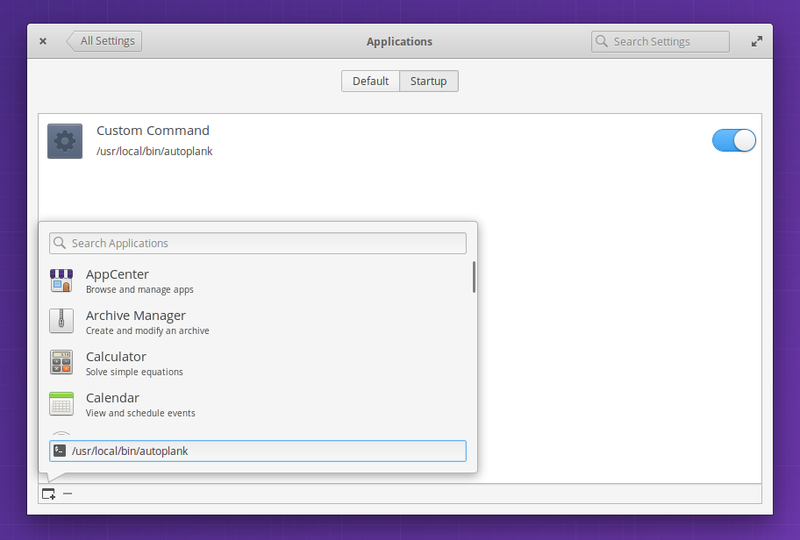 To build autoplank you'll need Go (golang-go in Debian, Ubuntu, elementary OS, etc.). To get the latest Git code you'll also need git, and for detecting the monitor on which you move the mose, you'll also need to install xdotool. You can remove the autoplank folder from your home directory now. When you want to uninstall autoplank, simply remove the /usr/local/bin/autoplank binary (sudo rm /usr/local/bin/autoplank). 3. Add autoplank to startup. If you want to try autoplank before adding it to startup or creating a systemd service for it, you can simply type autoplank in a terminal to start it. To have autoplank work between reboots, you'll need to add it to your startup applications. The exact steps for doing this depend on your desktop environments, so I won't tell you exactly how to do that for every desktop environment, but remember to use /usr/local/bin/autoplank as the executable in Startup Applications. Another way of using autoplank is by creating a systemd service for it, as explained here. Using a systemd service for autoplank has the advantage of restarting autoplank if it crashes for whatever reason. Use either the systemd service or add autoplank to your startup applications (don't use both). 4. After you do this, logout, login and autoplank should be running so you can move the mouse at the bottom of a monitor to move Plank dock there.